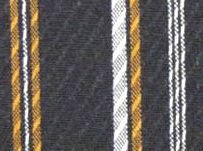 Textilemill.com supplies used textile mill equipment and machinery to customers worldwide. We offer textile professionals a source for up to date information on available textile equipment at a fraction of the cost of new. Featured items are listed below – contact us today regarding weaving equipment, air jet looms, ring spinning equipment, finishing and dying lines, projectile looms, yarn manufacturing equipment and more.